Griffith, E. & E. Pidgeon. 1834. 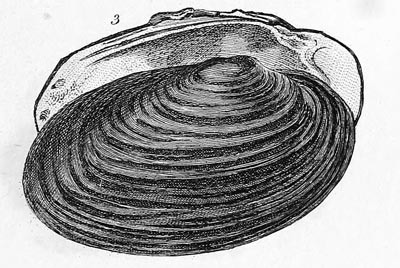 The Mollusca and Radiata. [in] Griffith, E. (ed.). The Animal Kingdom arranged in conformity with its organization, by the Baron Cuvier, member of the institute of France, &c. &c. &c. 12: 601 pp. Anodon georginae Griffith & Pidgeon, 1833. Gray in Griffith & Pidgeon, 1833, [in] Cuvier, Animal Kingdom: pl. 19, fig. 3 [as ‘georginæ’]. Gray in Griffith & Pidgeon, 1834, [in] Cuvier, Animal Kingdom: 595 [as ‘georginæ’]. 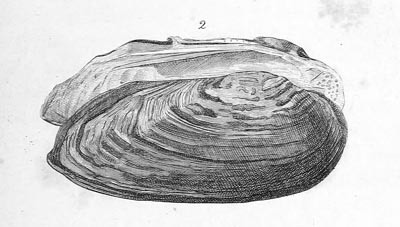 Anodon susannae Griffith & Pidgeon, 1833. Gray in Griffith & Pidgeon, 1833, [in] Cuvier, Animal Kingdom: pl. 24, fig. 1 [as ‘susannæ’]. Gray in Griffith & Pidgeon, 1834, [in] Cuvier, Animal Kingdom: 595 [as ‘susannæ]. Gray, 1825, Ann. Phil. : 136. Gray in Griffith & Pidgeon, 1833, [in] Cuvier, Animal Kingdom: pl. 31, fig. 5 [as ‘Villorita’]. Griffith & Pidgeon, 1834, [in] Cuvier, Animal Kingdom: 601 [as ‘Villorita’]. Unio childreni Griffith & Pidgeon, 1833. Gray in Griffith & Pidgeon, 1833, [in] Cuvier, Animal Kingdom: pl. 20, fig. 1. Unio chinensis Griffith & Pidgeon, 1834. 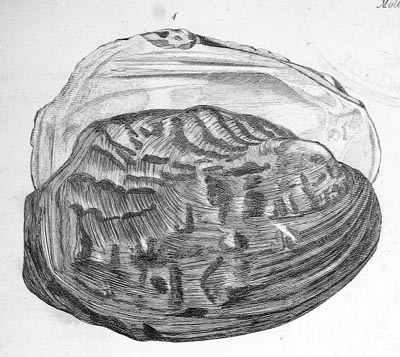 Griffith & Pidgeon, 1834, [in] Cuvier, Animal Kingdom: 600. 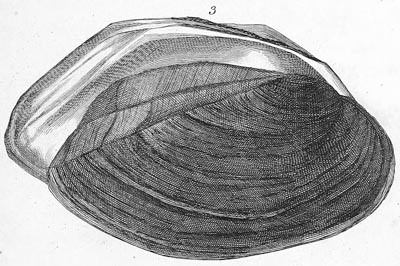 Unio smithii Griffith & Pidgeon, 1833. Gray in Griffith & Pidgeon, 1833, [in] Cuvier, Animal Kingdom: pl. 20, fig. 3. Unio tenuis Griffith & Pidgeon, 1833. Gray in Griffith & Pidgeon, 1833, [in] Cuvier, Animal Kingdom: pl. 24, fig. 2. 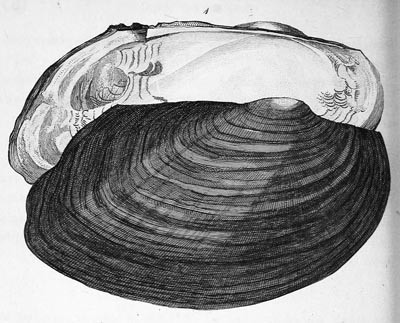 Gray in Griffith & Pidgeon, 1834, [in] Cuvier, Animal Kingdom: 595 [as ‘Anodon tenuis’], 601. 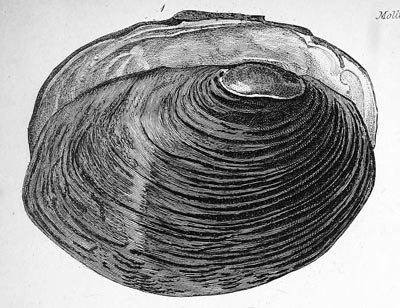 Anodontes anatinus Chemn. — Griffith & Pidgeon (1834: 106). Anodontes cygneus (Lin.). — Griffith & Pidgeon (1834: 106). Anodontes exotica Encyc. Method. — Griffith & Pidgeon (1834: 106). Castalia ambigua Lam. — Griffith & Pidgeon (1834: 107). Hyria rugosa Encyc. Meth. — Griffith & Pidgeon (1834: 107). Unio littoralis Lam. — Griffith & Pidgeon (1834: 106). 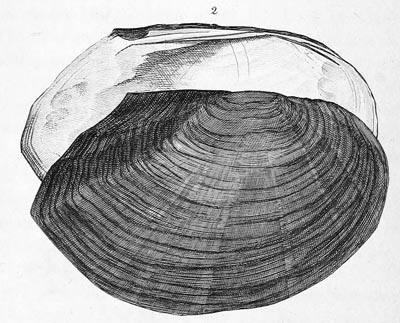 Unio margaritifera L. — Griffith & Pidgeon (1834: 106). Unio pictorum L. — Griffith & Pidgeon (1834: 107).